One of the world’s most watched annual TV programs has come down hard on China for censoring its content. The European Broadcasting Union (EBU), which organizes Eurovision broadcasts around the world, pulled its contract with Chinese channel Mango TV, after learning that the Chinese broadcaster had censored several videos, including an Irish music video featuring an LGBTQ love story. According to the New York Times, Mango TV censored a video of Ryan O'Shaughnessy's "Together," which shows two male dancers holding hands. In addition, the broadcaster blurred an image of the LGBTQ rainbow flag used in Switzerland's Eurovision performance during Wednesday's semi-finals program. In addition, a tattoo on the right arm of Albanian singer Eugent Bushpepa was also blurred out. Performers were quick to support the ban against China. "From the very start we've said love is love — whether it's between two guys, two girls or a guy and a girl, so I think this is a really important decision," O'Shaughnessy told the BBC. In a statement, the EBU noted that Mango TV's actions were "not in line with the union's values of universality and inclusivity" and its "proud tradition of celebrating diversity through music." 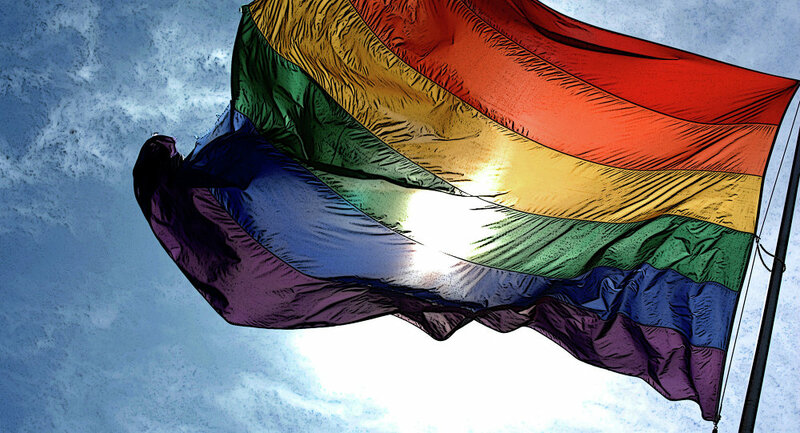 Although homosexuality is not illegal in China as it is in other parts of the world, the Chinese Communist Party has been pushing back against any public suggestion of lesbian and gay rights in the country. Last month, popular Chinese social media site Sina Weibo deleted several posts related to gay culture, but reversed the move following an outpouring of criticism online. The annual Eurovision contest is one of the longest-running television shows on Earth and one of the world's most watched, with viewership figures in the hundreds of millions.